Vishnu, one of the main gods of the hinduism, has assumed several times the forms of being living in the saeveral ages of the world. I'm talking about the avatars of Vishnu. Descents of God from heaven to earth (avatar in Sanskrit is "to cross over" joined with the prefix ava, off, away, down in english). Every descent has a purpose, there is always a reason, a emercency for which Vishnu must be manifested on the earth: the protection of the good and the destruction of evil. 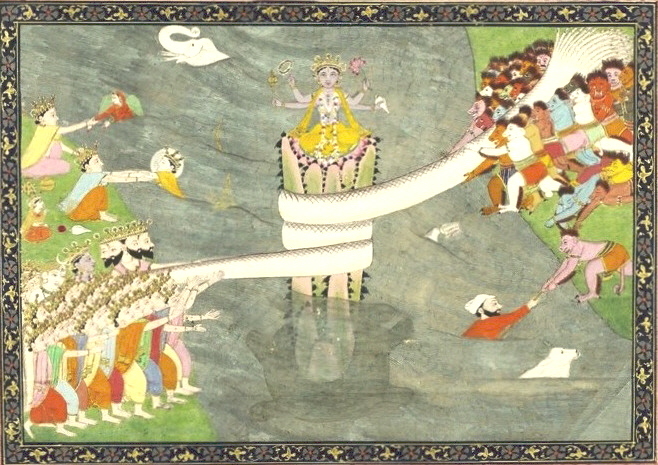 Matsya Avatar, the Fish, saved Manu (Satyavrata) from the Deluge and get him the Vedas. Kurma Avatar, the Tortoise, shell of tortoise was fulcrum of Mandara when the Devas and Asuras were churning the ocean in order to get amrita, devine nectar. Varaha Avatar, the Boar defeated Hiranyaksha, a demon, and get back the Earth from ocean. Narasimha Avatar, the Man-Lion killed wicked and powerful king of demons Hiranyakashipu. Vamana Avatar, the Dwarf by three steps was able to reconquest earth and sky and drove king Bali back. Parashurama Avatar, Rama with axe restored social order killing every kshatryia (worriors class) in favour of brahmins (priestly class). Rama, the Prince of Ayodhya, the god of virtues, the hero of Ramayana, defeated demon king of Lanka, Ravana, for capturing his life Sita. Krishna, avatar of love destroyed evil. He is a complete avatar of Vishnu. 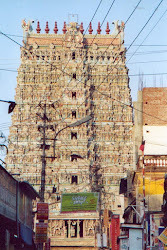 In Mahabharata he is the Arjuna's charioteer and protagonist of Bhagavad Gita. Buddha, avatar of Kali Yuga, was advanced to create misunderstanding amongst people. Kalki, the last avatar. This avatar will appear at the end of world, to restart the new creation and to restore purity of conduct in people's lives.